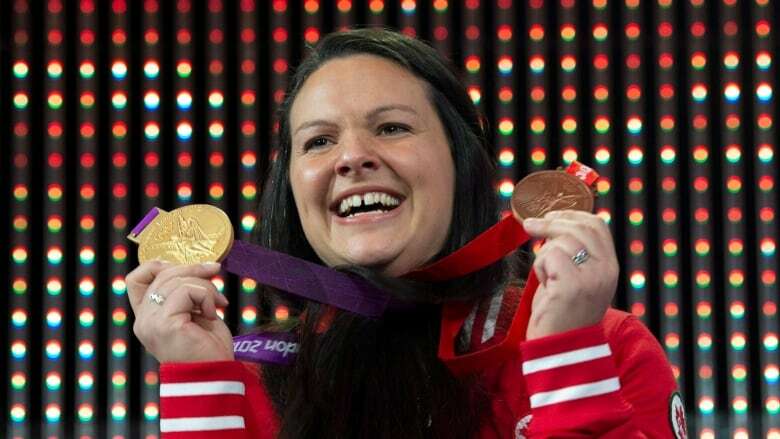 After years of waiting, Canadian weightlifter Christine Girard has finally received her re-allocated Olympic medals: a gold from London 2012 and a bronze from Beijing 2008. It's been a long process for the now-retired Girard — the latest Olympian whose moment of triumph was robbed by cheats. Girard received both medals in a ceremony in Ottawa on Monday morning. 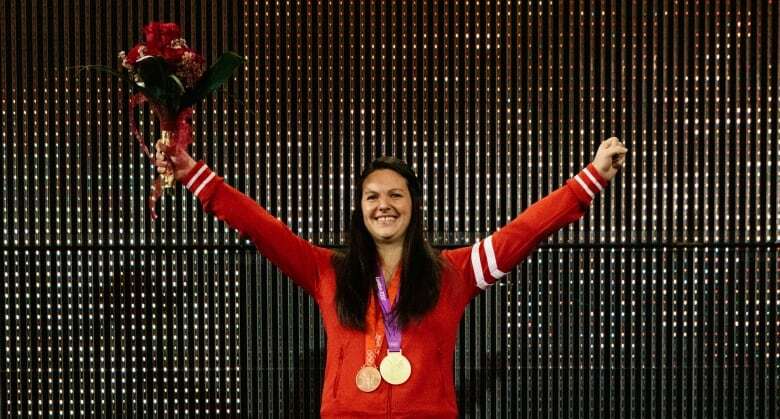 After the bronze was placed around her neck first, the 33-year-old — wearing a red Team Canada sweater — raised both arms in triumph. The athlete then took a step to the right to the top of the podium to receive her gold medal. Jeane Lassen, who was part of Girard's coaching team in London, presented Girard with a bouquet of roses to a standing ovation. It was only when the national anthem played that Girard's eyes welled up. In a prepared video played immediately after, the athlete said she'd lost "so much" by not having her medals on time — but what she has now matters "so much" more. "We can do this the right way and we can win the right way. 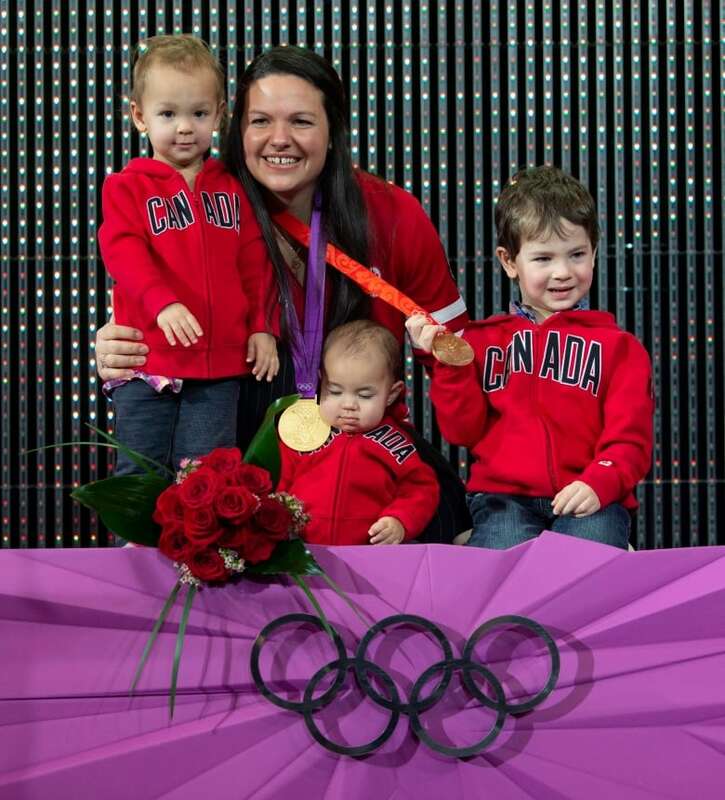 That's what my medals mean," Girard said, thanking her friends, family and three children for their support. Tricia Smith, member of the International Olympic Commitee, highlighted Girard's "dedication and tenacity" in a speech just before the ceremony. "Christine embodies the belief that the value of sport, the value of anything — to individuals, to community — comes from the integrity of it," Smith said. "Applying that in every aspect, in everything you do, is very Olympic." In April, the International Olympic Committee confirmed Girard would be awarded the 2012 gold medal in the 63-kilogram weight class. Girard initially won the bronze medal but was elevated to gold after the IOC retested more than 1,500 urine samples from the Beijing and London Olympics. The samples of Kazakhstan's Maiya Maneza and Russia's Svetlana Tsarukaeva, who originally finished first and second, respectively, both tested positive for banned substances. 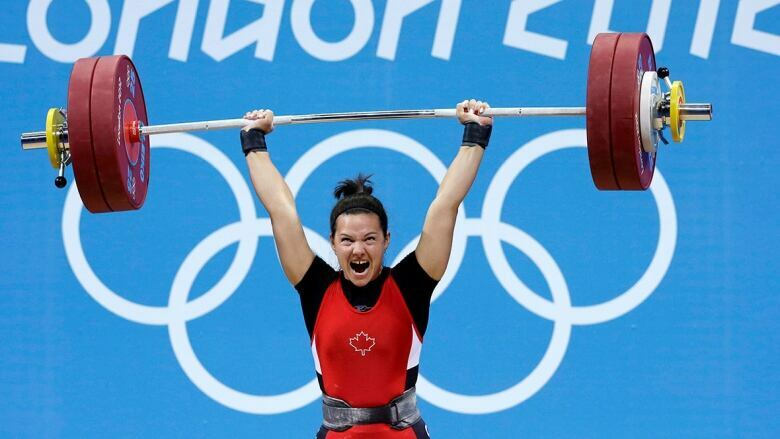 Girard, who is from Rouyn-Noranda, Que., but now resides in White Rock, B.C., is Canada's first ever Olympic champion in weightlifting. She learned in August 2016 that she would get the bronze medal from the 2008 Games in Beijing when silver medallist Irina Mekrassova of Kazakhstan failed a retest. Girard had finished fourth in the event. Girard told CBC Sports in April that she always had doubts about her competitors. "[I] had suspicions because some of females had some physical changes that would be really hard to get naturally," she said at the time.